Doro first started manufacturing mobile phones in 2008 after a successful period of involvement in the home telephone market, so these guys really knew what they were doing when it came to communications. They have proved that even further since then, with a series of successful mobile phones that are affordable and practical. The brand is known for developing mobile phones that aren’t too complicated and are easy to use. 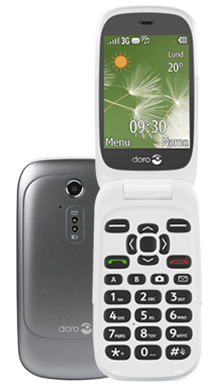 While on the surface, some Doro mobile phones can appear extremely stripped back, they certainly have there place in the mobile phone market. The best bit is that they are incredibly affordable, so you won’t need to worry about emptying your bank account to get your hands on a Doro handset. At Metrofone we always work around the clock to ensure that we are bringing our customers the very best mobile phone deals, and this includes Doro handsets. If you are looking for a Doro deal, then you have certainly come to the right place. 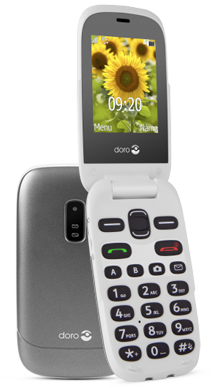 We have some fantastic Doro handsets here at Metrofone; the Doro 6030, in particular, is a solid choice for anyone who needs a mobile phone with specific features to make their life easier. With enhanced sound, larger buttons and even an assistance button, combined with compact design, Doro handsets aren’t only incredibly practical, but they are also comfortable to use and compact enough to take anywhere. Doro focuses primarily on targeting senior mobile phone users, and we have to agree that they make a fantastic choice for anyone who may be hard of hearing, limited visually or not comfortable using a more complex smartphone. They also make great phones for anyone who is on the hunt for a handset before they go travelling for long periods of time. The battery life on Doro handsets is brilliant, and the design is robust, so whatever you put your Doro phone through, it will be sure to survive. When you shop with Metrofone we will always endeavour to save you as much money as possible; not only can you get a Doro deal without paying anything upfront, but if we can give you one of our incredible cashback deals, then we will be happy to, saving you even more money! As well as fantastic service here in the UK, with EE you can additionally get free roaming when you are travelling abroad, making Doro an even better choice for anyone who is away on an adventure. If you would like more information about using Doro handsets, or if you have any further questions about any of our incredibly affordable Doro deals, then call our brilliant customer service team today. They are all based in the UK and are ready in waiting with the latest expert industry knowledge to listen to your needs and answer any of your burning questions. Call them on 0333 800 1144 now.